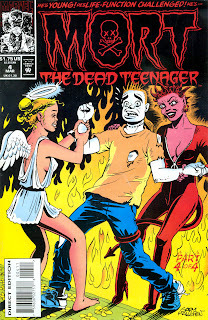 This is the Marvel mini-series Mort The Dead Teenager. In the first issue Mort Graves is denogginized by a train during a drag racing accident. 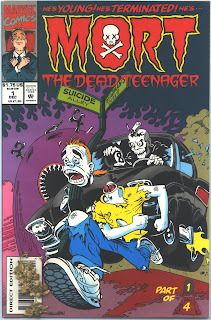 With the help of Teen Death, Mort gets to see what his world is like without him. Or something like that, I'm not finished with it yet. It lasted for 4 issues in 1993/94, each of which can be downloaded in the link below. 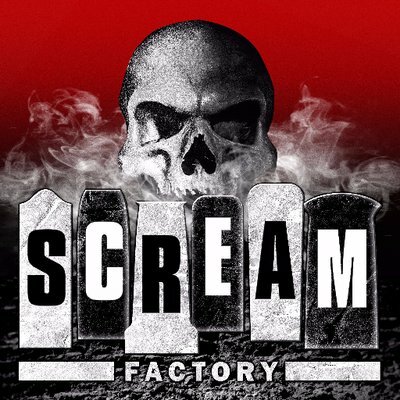 Searching for some information to use for this post I found countless sites mentioning a Tarantino produced film version of Mort that was in development a few years ago. And here I thought Man-Thing was a bit too obscure for someone to try and make into a movie. The only rumored cast member at the time was Jessica Simpson (not as hot as the world thinks, by the way) Presumably she would've been cast as the dumb chick with big cans and not Mort. I Am A Turkey. Kill Me. Just a quick Happy Thanksgiving from all of us here at The Manchester Morgue. Anyone else a little frightened by this picture? 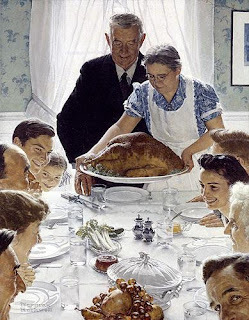 I think the creepy little bastards at the upper left of the dinner table are going to be doing a little carving of their own with the other members of the family in a minute here. Look out. 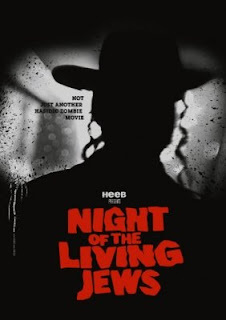 Night of the Living Jews is a short (20 Min. 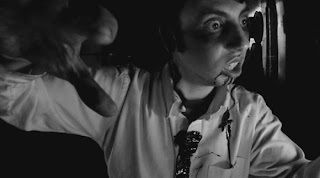 or so) zombie comedy that was made in 2007. I have no idea how I hadn't heard of it before now - I must be slipping in my old age. I know a lot of people are probably sick of the low budget funny zombie film, but I personally can't seem to get enough. I haven't watched it NOTLJ yet, but I'm looking forward to it. It looks like it should be rather entertaining, and there is even some pretty striking imagery on display for good measure. "On the first night of Passover the residents of a remote Jewish bungalow colony are turned into flesh-eating zombies by matzo with a dark history. In the hunt for human flesh these Hasidic zombies descend on an unsuspecting gentile family in their quiet farmhouse. The loving mother and father and their mischievous son and nubile teenage daughter face an almost certain end until a mysterious stranger miraculously appears to save the day. 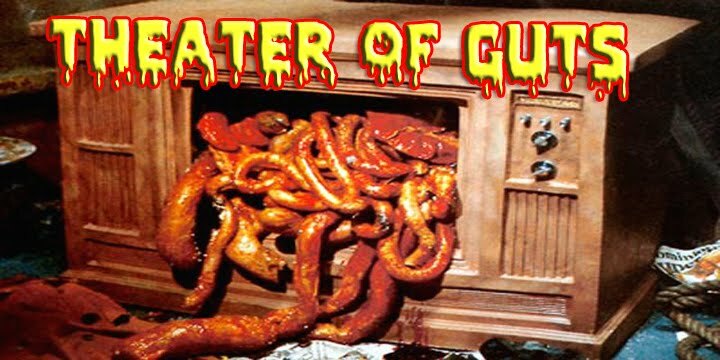 In Night of the Living Jews you’ll journey through a hellish night of terror, romance and a frighteningly non-kosher diet." 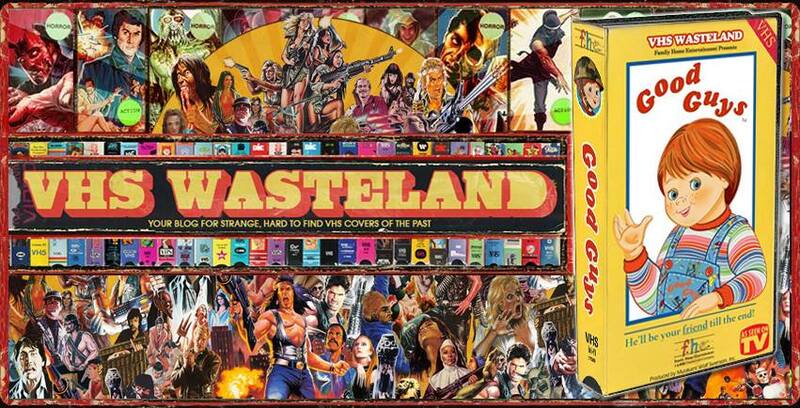 If you're interested in owning a copy, you can pick one up here. Sorry about the lack of posts this past week, I was out of town on a bit of a vacation for the last week or so. 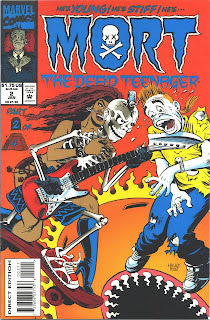 But I'm back, and I'd thought I'd start off with a little comic adaptation of my favorite Bill and Ted movie (part 2). It follows the movie pretty closely, but there are a few things that are slightly different. One thing I noticed, they changed Ted saying that heaven was "most atypical" to "most semi-typical", which doesn't sound very funny at all. Or accurate, because the heaven in Bogus Journey was supposed to look a bit different than what we're used to seeing in movies, thus making it atypical, not semi-typical. In fact, I'm not certain semi-typical is even an actual recognized term. But I won't go any further into that, because I don't think anyone is too worried about it. 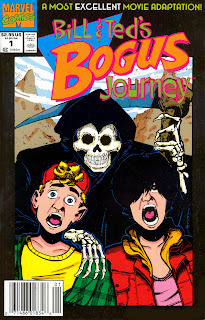 It's a Bill and Ted comic. If you're bored, this will give you something to read for 20 minutes or so. 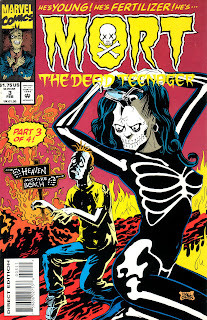 James Martin of Faith No More: The Animated...Comic Panel? Station - Now In Green! No Comic Version of Primus? Lame. Nickelodeon announced about a year ago that they would be releasing DVD sets, but I'm pretty sure they decided to drop that idea for whatever reason. It's actually a bit odd considering the show was actually on for a decade. I'm sure it would sell at least as well as Clarissa. The show is probably best known for the early appearances of one Alanis Morissette. Who ever would've thought that young, half Wolverine/half Fats the Dummy haircut-having Alanis from You Can't Do That On Television would grow up to sell 55 million albums, then star as God in a Kevin Smith movie? I for one, did not see that one coming. She actually wasn't in all that many episodes, but I did include two of hers here today. She's in Parties (anyone?) and IRONICALLY* she's also in the Pop Music episode. Well, I guess that's more coincidental than ironic, really. Oh well, I'm not changing it. 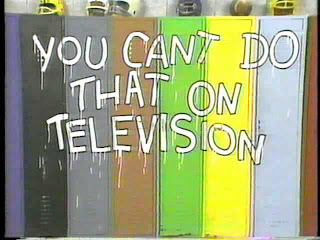 I'd go into more detail aboot the show, but YCDTOTV.com has everything you could possibly ever need to know about the show. Including current photos of many of the 100+ cast members who appeared on the show over the years. Blurring the line between "secrect admirer" and "stalker"